Gosh. 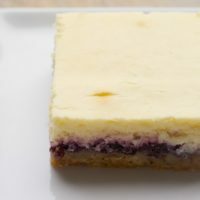 I’m such a sucker for cheesecake. And spring is the right time for lemon as far as I’m concerned… just YUM. 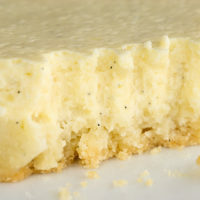 This cheese cake looks sooo delicious! I wish I could have a piece now. I like the fact that you used pecans with your crust. Great idea. Looks great! I’m pinning it!! These looks delicious! I can’t wait to test this recipe out. You come up with the best tasty treats. Thanks! Malissa, cracking is sadly a common occurrence with cheesecakes. Cracks or not, it’s still delicious. If it cracks while it’s baking, it may have been overmixed. To prevent it from cracking after it has baked, you can run a knife around the sides to loosen it a bit. The best way to get clean cuts is to use a very sharp knife that you (very carefully!) wipe off after each cut. Make smooth cuts, not a back-and-forth motion. 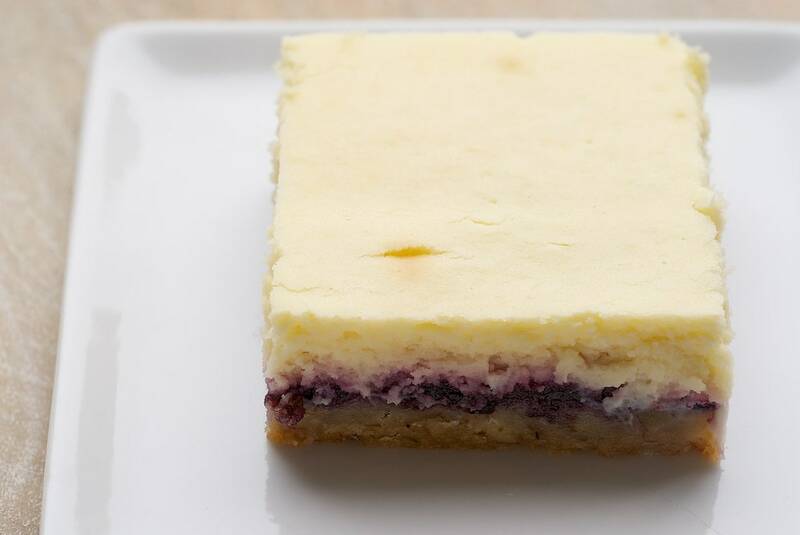 These mouthwatering Lemon Blueberry Cheesecake Bars are fantastic! The unique taste of these bars really made our customers to ask for more and of course we present them in most simple but elegant way by serving them in small white aqua plates. 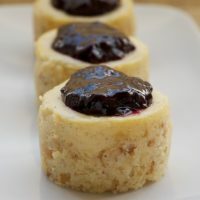 I love cheesecake, this looks like an interesting and unique way to change things up. Those look amazing! I can’t wait to make them! 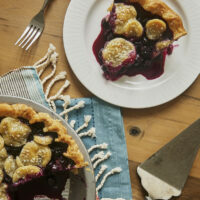 I’m already counting down to blueberry picking season, and planning my recipes…I think these might just make the list! Can’t wait to try, thanks for sharing! Hi, Megan. I think strawberry preserves would be delicious! One word, YUM. I made this tonight and it was so good. I cut the recipe in half, used frozen blueberries because I didn’t have the preserves, and used a little freshly squeezed tangerine juice because I didn’t have lemons, and goodness this was good. This is the first time I’ve tried one of your recipes. Hi! Just putting this togetherr and it seems that the butter amount is incorrect for the crust. I cup of butter made a very greasy mixture, so I added about another cup of flour to stiffen it up. I’m guessing it should really be 1/2 cup?? Hi, Mary. The amount of butter is correct. If you didn’t change anything about the recipe, then maybe look at how you measure your flour. I usually weigh mine, as scooping can give variable results. 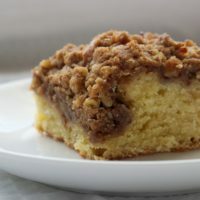 Great recipe but I didn’t have pecans so used toasted ground almonds, increased the bluebrries to 1 1/2 cups and added some cinnamon. Didn’t have lemon so used o.j. and orange rind. None left!! Meant to add – a versatile recipe. I like to tweak recipes. Never use only one when concocting stuff. That sounds like a delicious variation, Jean! One word: perfect! Not too sweet and very elegant. 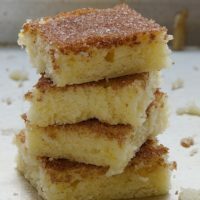 I’ve had my eye on this recipe for quite some time and have really wanted to bake something cheese-cakey before the summer is over. I made these last night. 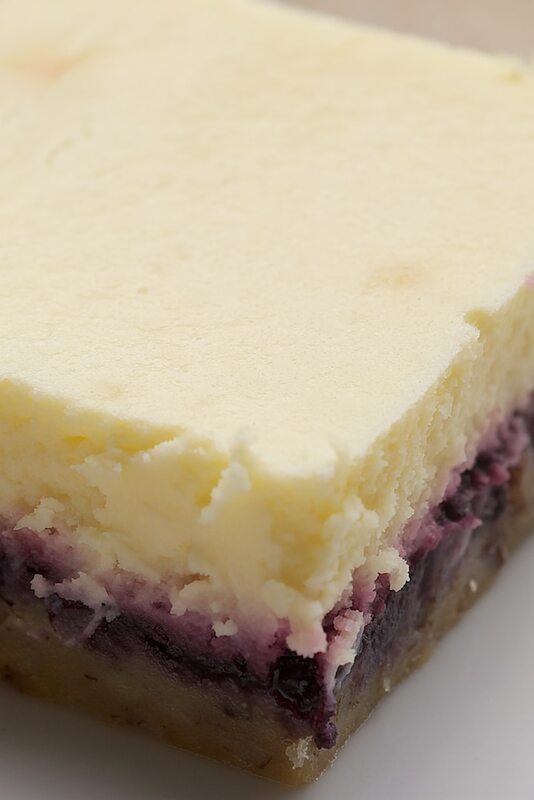 Scattered fresh blueberries on top of the cream cheese layer prior to baking. I like the fresh blueberry taste in the finished bar. Chilled overnight–cut like a dream this morning. The crust is a bit ‘oily’ to start (I added 5 min to the bake time) but bakes up nicely and holds the jam well. Super easy to cut and remove from the pan. I did add Limoncello, no surprise there, plus lemon zest. 🙂 Thanks for a great recipe, Jennifer! Hi, Sarah. I think it might work if it’s fairly thick. I’d like to put aluminum foil or parchment paper underneath the bars so I can lift them out. Is this doable, do you know? It seems like anytime I want to make a dessert I turn to your blog! Hi, Teresa! You can line the pan if you like. I have better results using parchment paper, but feel free to use aluminum foil if you prefer. Enjoy! I saw this recipe on line and wanted to make it. However, My husband is not a fan of lemon, would it de tract from the flavor of my sour cherry preserves? Do you have any other recipes to use sour cherry preserves with? Thank you so much. Found your site on line. Hi, Debbie. You can leave out the lemon. 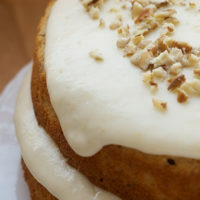 I have several recipes that use preserves, and most would work with any flavor. Click here to see all of those recipes.